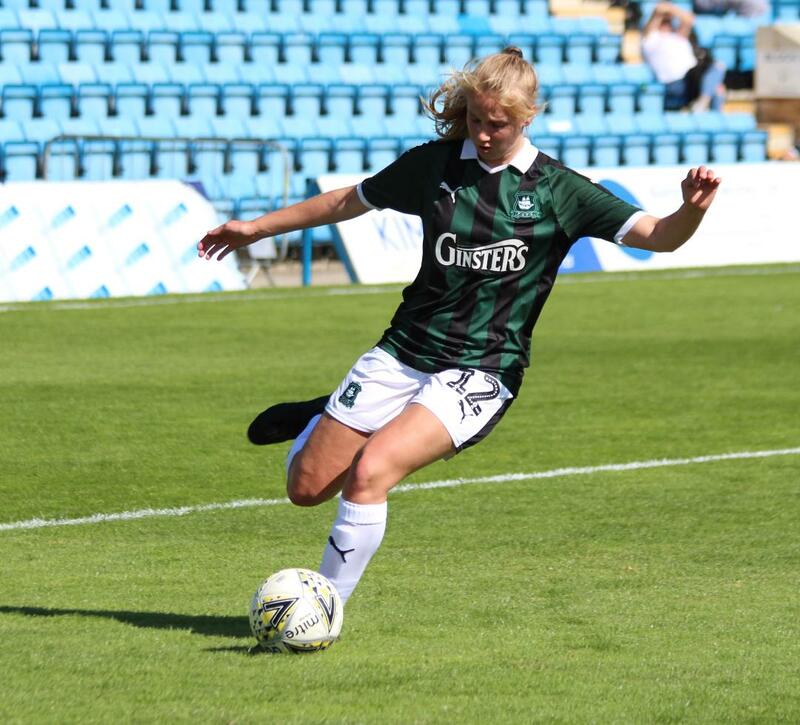 PLYMOUTH Argyle Ladies will go into Sunday’s National League Southern Division match against C&K Basildon at Elburton Villa in confident mood (2pm). The Pilgrims are looking to build on two successive wins over Milton Keynes and Gillingham, where they have scored four games in each match. Argyle have not met Basildon since the 2015/16 season when the Essex side completed a double over the Greens. They are still waiting for international clearance for England under-20 international Jessica Jones, who has been playing in Canada. They will also again be without top striker Natasha Knapman due to injury. Argyle’s joint manager Dave Leonard is hoping the team can reproduce the form they showed at the Priestfield Stadium last weekend against Gillingham. “It was great for the girls to play on a professional pitch again as the surface suits our style of play,” said Leonard. Argyle’s Cornish teenagers Gaye Ivall and Tamsin-Medd-Gill (pictured above) are once again in the squad. Meanwhile, Argyle’s Development team will look to bounce back from last week’s defeat against local rivals Plympton when they take on newcomers St Agnes in the South West League Western Division. The game is being played at the Salt Mill (2pm) while the club waits to move to the Manadon Sports Hub. They do have a few injury setbacks to deal with. Influential defender Charlie Rollerson had to leave the field last week has a broken nose, while youngster Kiara Robins is nursing a knee injury and they are still without Abbie Scurr. On the plus side, they have the experienced Kayleigh Brown ready to make her début. She joins them to get in some valuable game time. Meawhile, Plymouth Argyle will start the defence of the Devon Women’s Senior Cup when they travel north to play Bideford in a first round tie on October 21.